Formally Known As Rio Aroma Stone! The Bodi-Tek Aroma Stone Oil Vaporiser uses no candles or burners and warms your oils gently making sure you get the full benefits. Unlike traditional burners it is completely safe, clean, silent and effective. Why the Bodi-Tek Aroma Stone Aromatherapy Product? 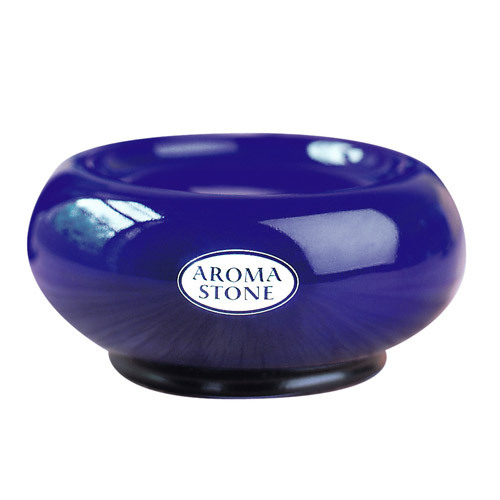 The Bodi-Tek Aroma Stone uses no candles or burners - completely safe, clean, silent and effective. Its self-regulating temperature gently vaporises oils and oil blends without changing their character which means you get the very best from your oils and you maximise the benefits that aromatherapy can bring. For more essences visit our Essential Oils and Essential Oil Blends categories. The Bodi-Tek Aroma Stone is easy to use, very economical and simply wipe it clean after use. Diameter: 10cm, Height: 4cm, the cable/flex length is 170cm. Below are reviews of Bodi-Tek Aroma Stone - Oil Vaporiser - Blue by bodykind customers. If you have tried this product we'd love to hear what you think so please leave a review. Small, neat and easy to clean but it doesn't produce any more aroma than a light bulb ring and the latter doesn't need plugging in. This is an amazing discovery for diffusing oils. Wish I had discovered it earlier! Easy to use and clean. Question about Bodi-Tek Aroma Stone - Oil Vaporiser - Blue It this a mains or battery powered unit? This unit is mains powered, as are all our aromatherapy vaporisers.